Glass Bubble concept of a Global Community. 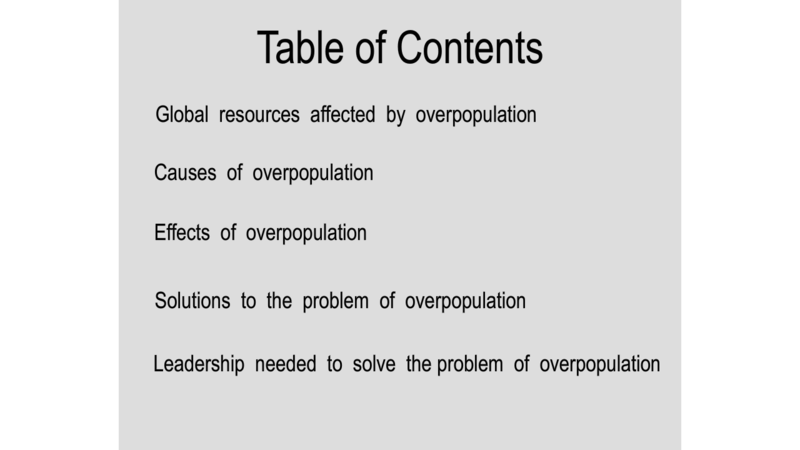 Global Community paper on world population. 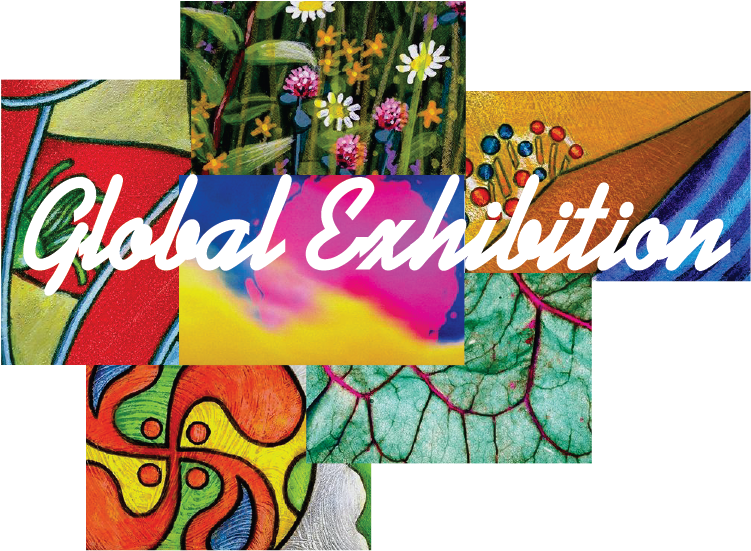 Global Community days of celebration or remembering in May of every year. Stop the madness of tar sands oil pipeline construction. The Earth's forests provide goods and services essential to human and planetary well-being. Planetary State of Emergency Day: May 26. Creation of a biodiversity zone protection all around the planet. Global Disarmament Day: May 26. 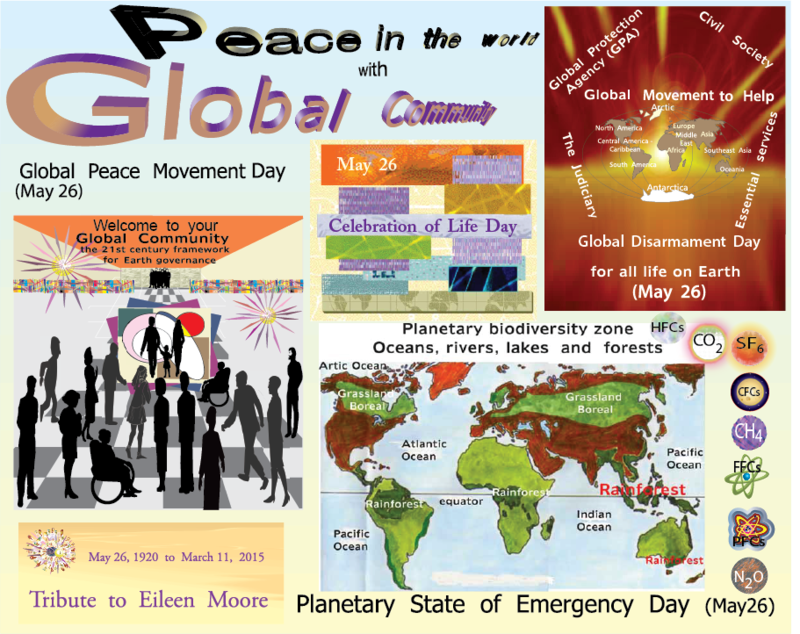 Global Movement to Help Day: May 26. Celebration of Life Day: May 26. Welcome to your Global Community. 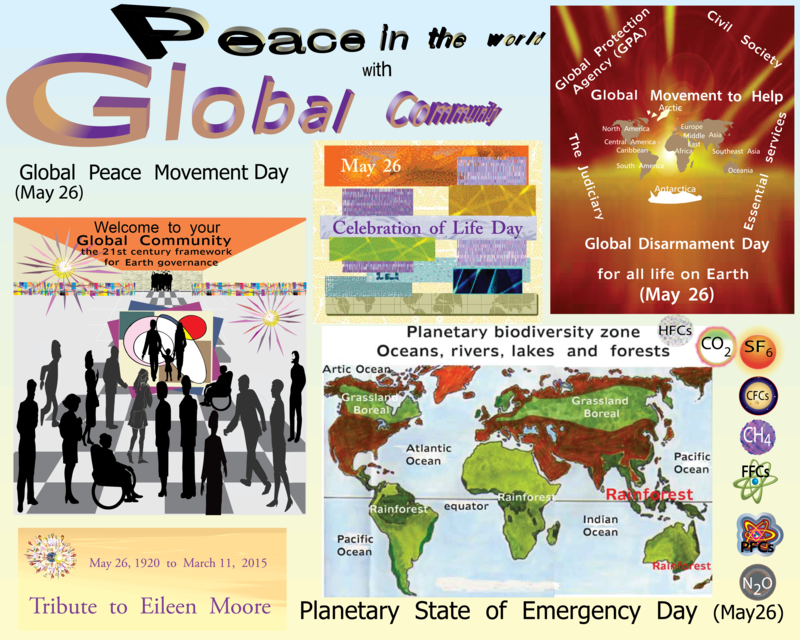 Global Peace Movement Day: May 26. In this Newsletter, Global Community days of celebration or remembering in May of every year are promoted to allow members and the public at large to celebrate those special days in their own community. 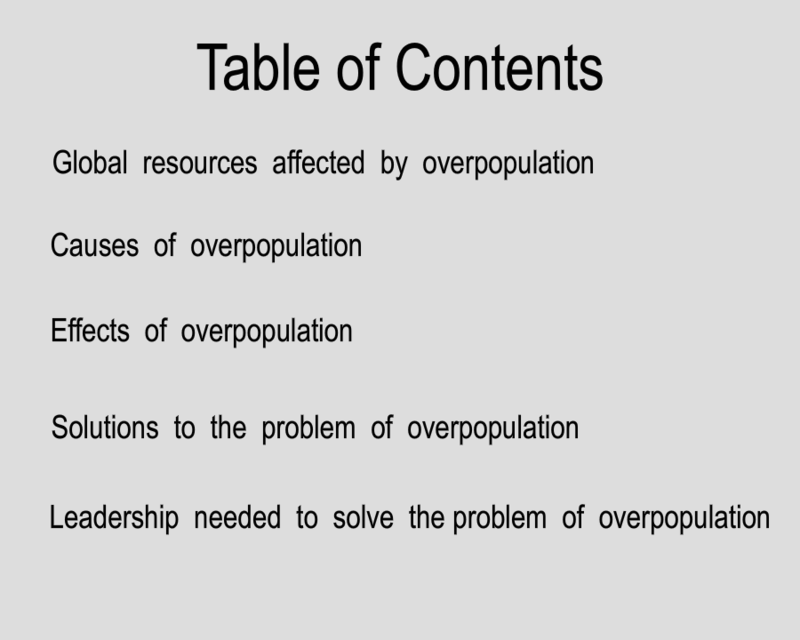 Building global communities require understanding of global problems this generation is facing. There are several major problems: conflicts and wars, no tolerance and compassion for one another, world overpopulation, human activities accelerating dangerously the amount of greenhouse gases in the air, as population increases the respect and value of a human life is in decline, insufficient protection and prevention for global health, scarcity of resources and drinking water, poverty, Fauna and Flora species disappearing at a fast rate, global warming and global climate change, global pollution reaching unhealthy peaks in the air, water and soils, deforestation, permanent lost of the Earth's genetic heritage, and the destruction of the global life-support systems and the eco-systems of the planet. We need to build global communities for all life on the planet. 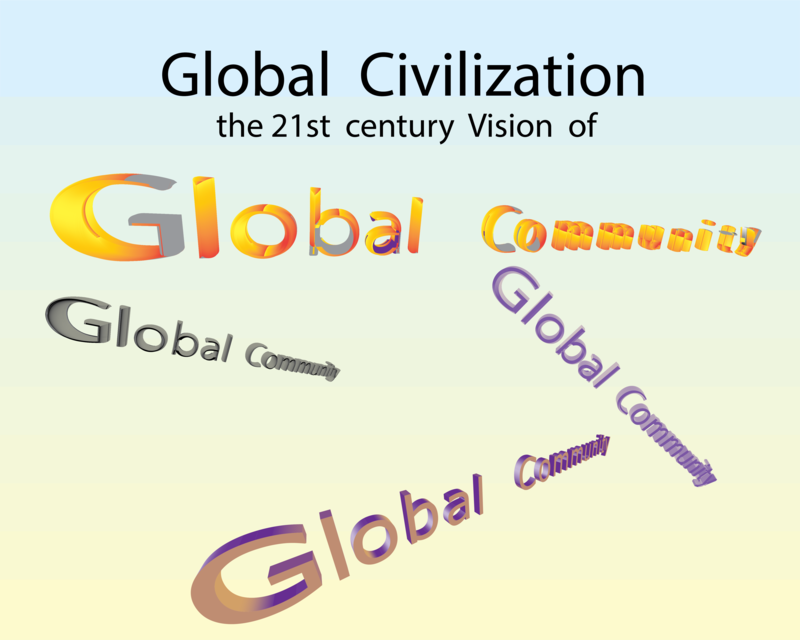 We need to build global communities that will manage themselves with the understanding of the above problems. There are trillions of galaxies in the Universe, each one may have more than one trillion stars like our Sun, and each star may have planets such as our Solar System. And Life is everywhere in the Universe, and I am SoulLife God. Life is my domain. It is imperative that Global Community protects Life in all its forms. 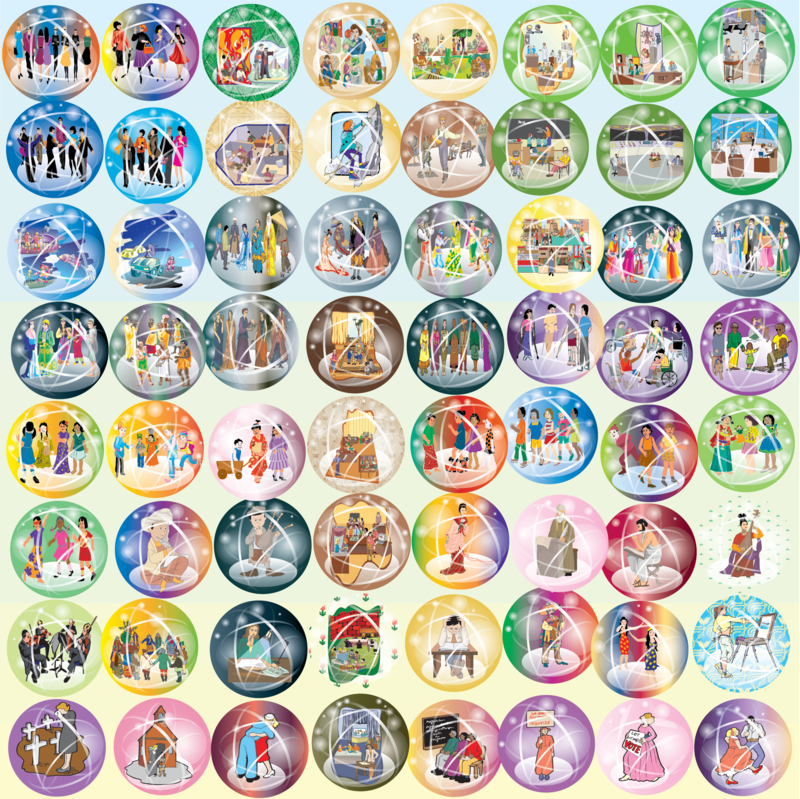 Global Community has been promoting special days to celebrate in the month of May. They are special days geared toward the protection of Life on our planet. I ask everyone to celebrate those special days. 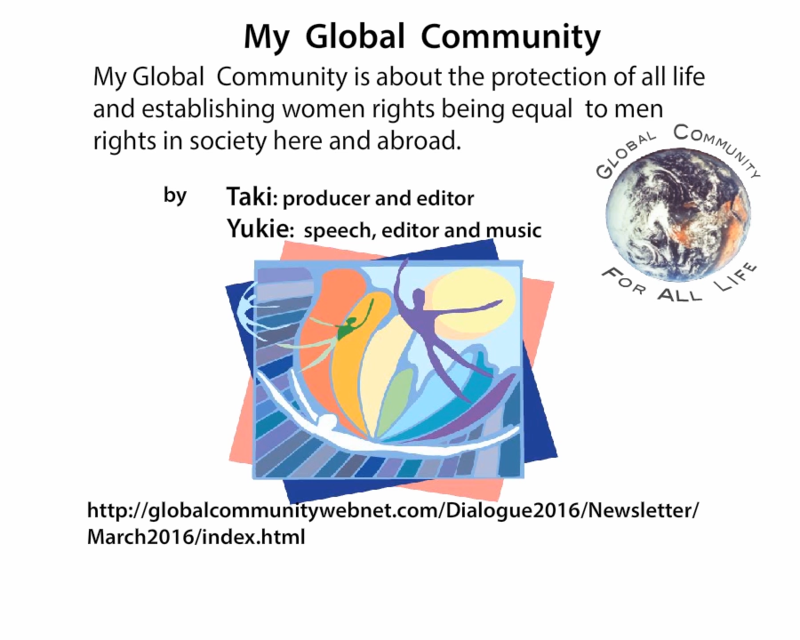 My Global Community is about the protection of all life and establishing women rights being equal to men rights in society here and abroad. International Women's Day (IWD) has been celebrated on March 8 every year. The focus of the celebrations is of respect, appreciation, and love towards women and to women's economic, political, and social achievements. 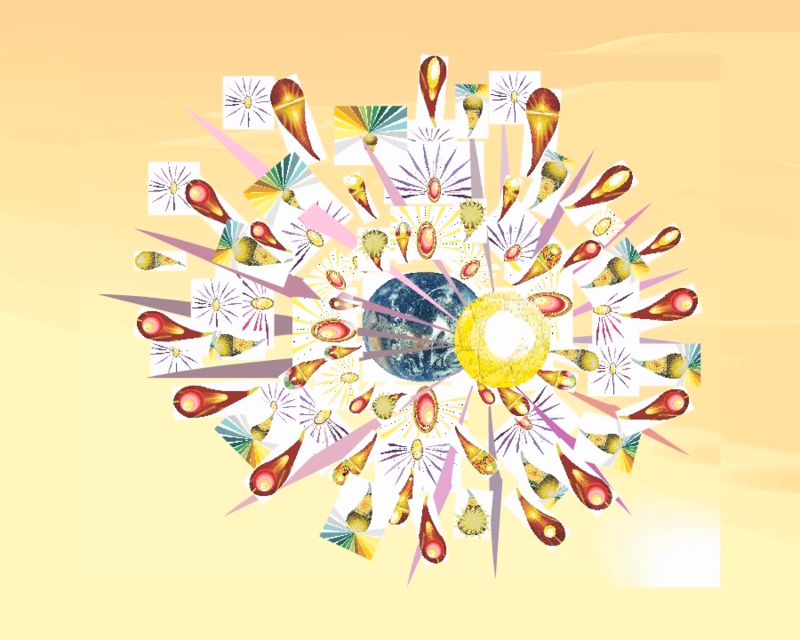 In this Newsletter, Global Community shows its appreciation to the struggle of women worldwide for their human rights. Images of what it means to be a woman in our global society. To be a woman (pdf format). To be a woman (Power Point format). Images, text and speeches in the animation. 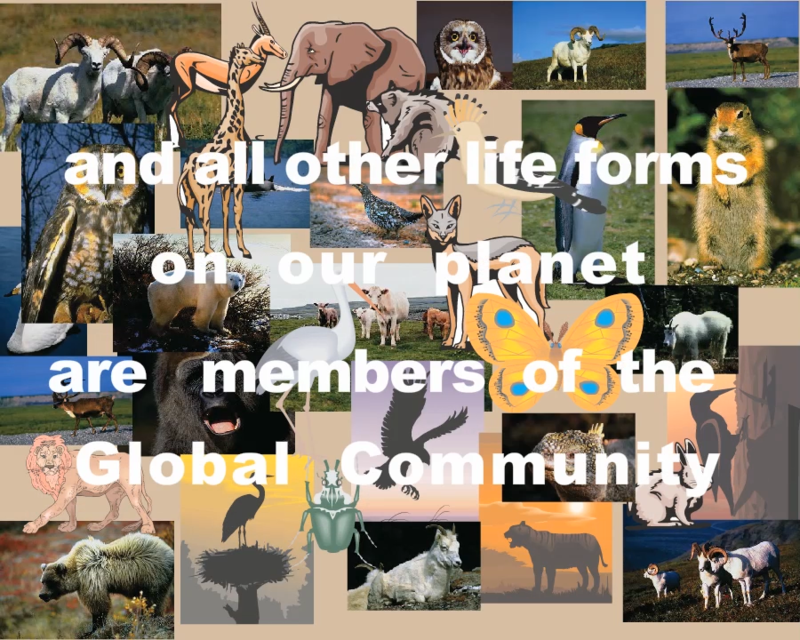 Peoples of all places, cultures and religions, and all other life forms on our planet are members of the Global Community. 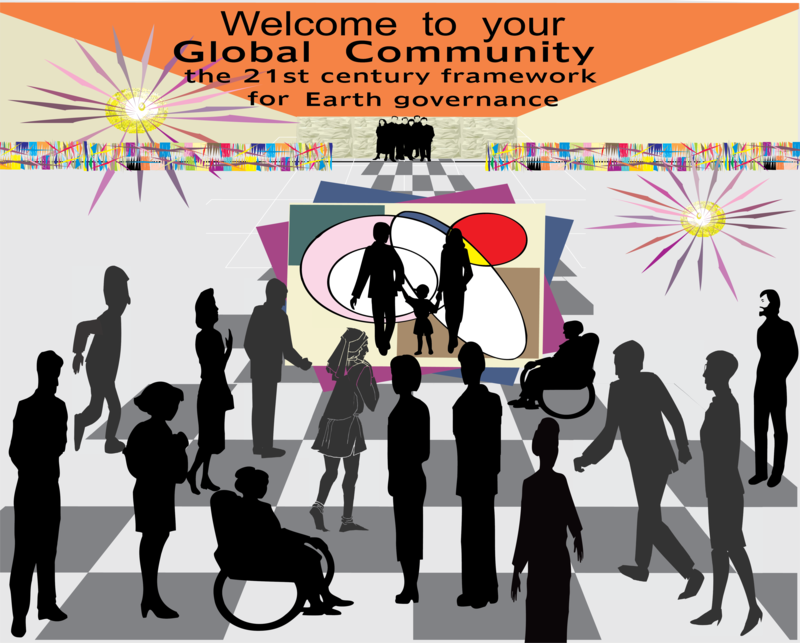 Global Community framework for Earth governance. I am SoulLife God. We the Peoples of the Global Community are reaffirming faith in the equal rights of men and women. Human rights can be changed depending on new circumstances and are rather flexible and adaptive, and they can evolve. Marriage should be entered into only with the free and full consent of the intending spouses. 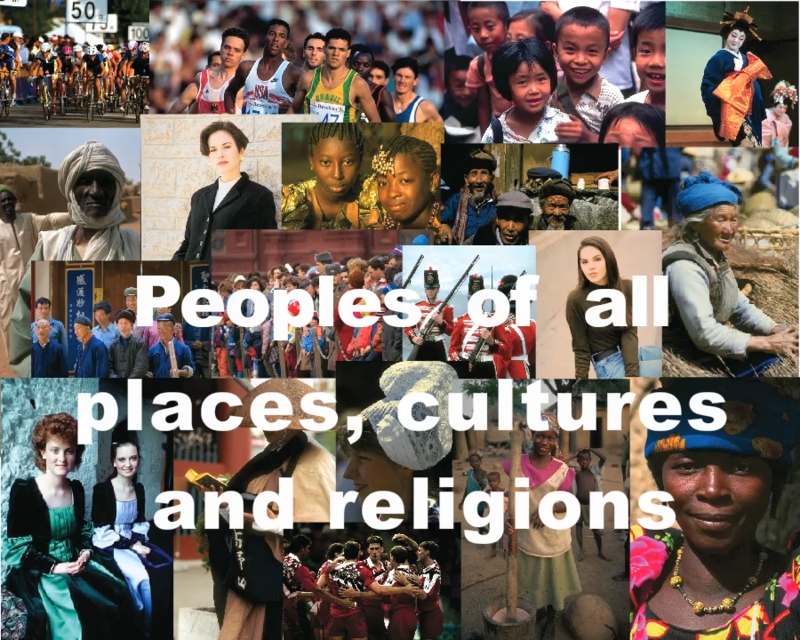 Cultural and religious differences cannot be a reason or an excuse or a pretext for not respecting human rights. 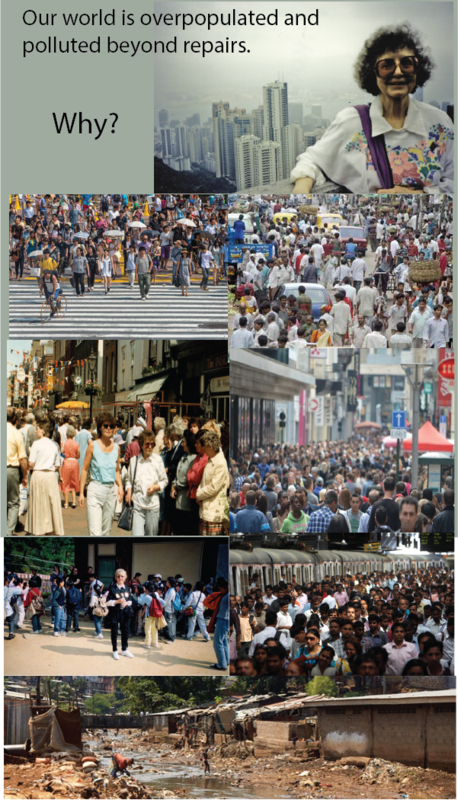 Diversity enriches us if it respects the dignity of each individual, and if it takes account of human rights. ISIS is an ideology now growing everywhere in the world. From their perspective, killing other people is a logical and religious solution. The Islamist group is implementing Sharia Law, rooted in eighth century Islam, to establish a society that mirrors the region's ancient past. This group is known for killing dozens of people at a time and carrying out public executions, crucifixions and other acts. These modern day Islamist extremists use modern tools like social media to promote reactionary politics and religious fundamentalism. These Islamists are a real threat to the world and especially to women. The following article explains the reality of Shariah Muslim law. 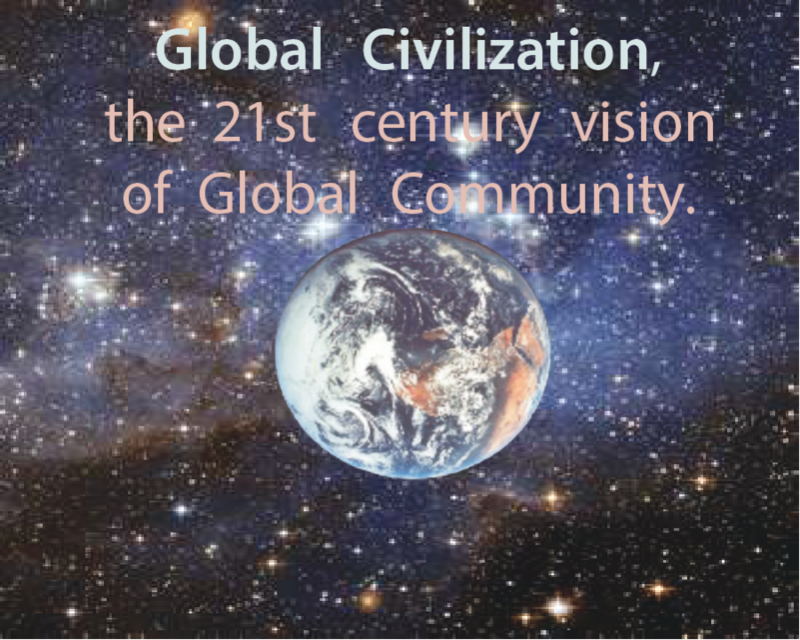 "This movie was titled "Timeless Global Community values" because Global Community is always helping the formation of life in all places and times throughout the universe. Then life is let to evolve. Evolution and adaptation are the main driving forces of life. Advantages that explain the evolutionary success of humans include a large brain which enable high levels of abstract reasoning, language, arts, problem solving, sociality, and culture through social learning. 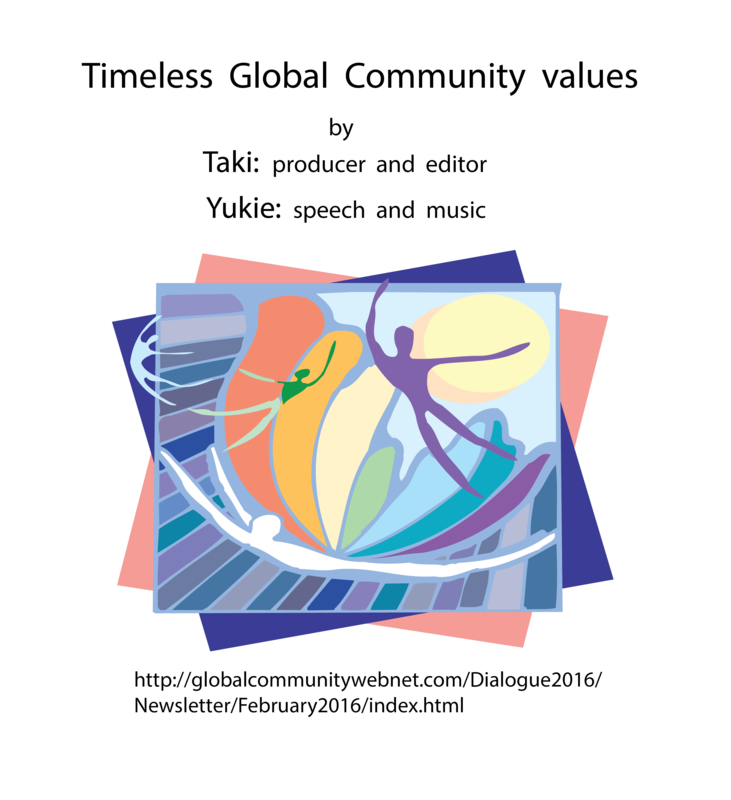 Global Community values did not all exist at first in the first stage of human evolution. But most of them gradually developed over time. Humans have survived over time because of those well developed human values. Humans started to separate from the rest of the great apes 7 million years ago. The first modern form of humans, the Homo sapiens, evolved 200,000 years ago. Cave and rock paintings began to emerge on multiple continents about 30,000 years ago. Over time, humans have established various forms of government, religion, and culture around the world, thus unifying people within a region and leading to the development of states and empires. " 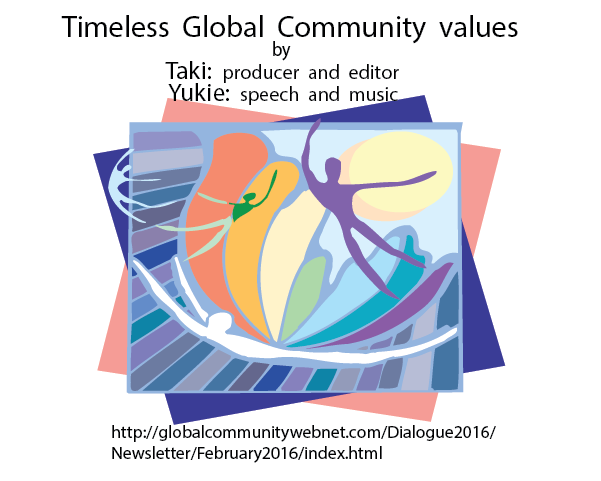 Front page of Timeless Global Community values. Peace, love and forever happiness on Earth. "I am SoulLife God. Life is my domain. My Guiding Souls help evolution in small ways. Keep your hope high and higher! Because the better and the best are still to come. Guiding Souls will show you the way to peace, love and forever happiness on Earth." 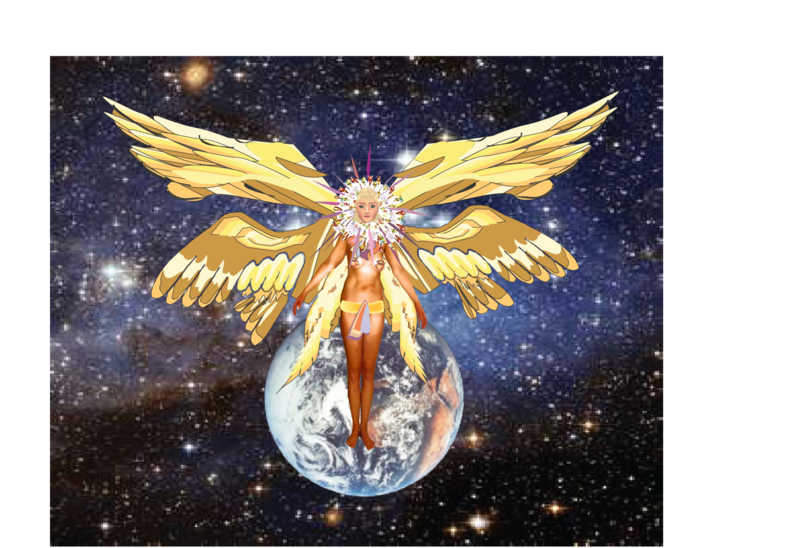 SoulLife God arriving close to the Earth to help all Life. The 17th International Fryderyk Chopin Piano Competition 2015. Kathleen Smith: human and planetary well-being. 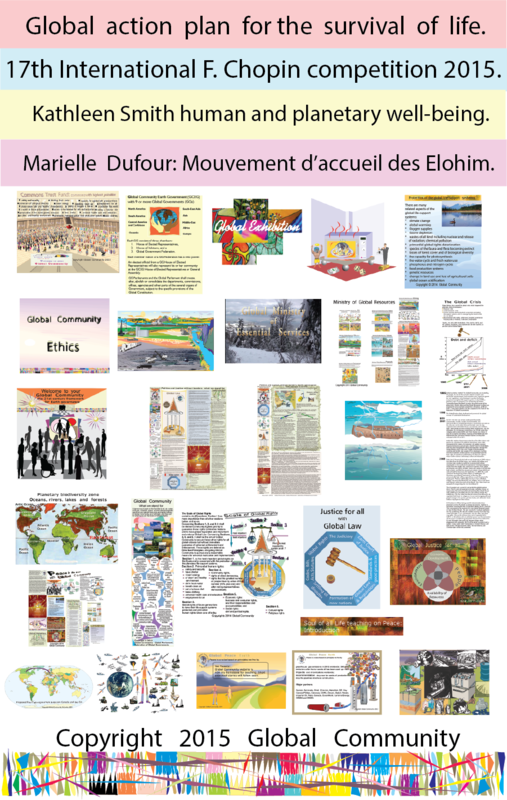 Marielle Dufour: Mouvement d’accueil des Élohim . 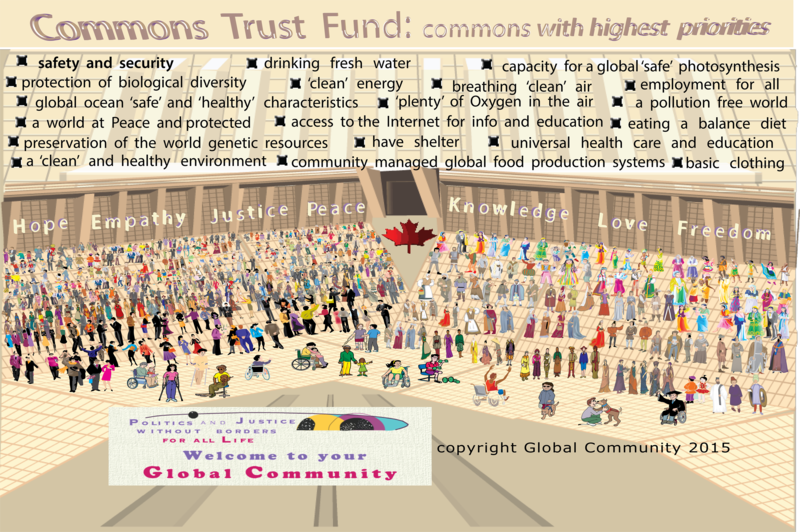 Global Community needs a Commons Trust Fund to manage the Commons with the highest priorities. On the issues of land ownership and sovereignty within Global Community, and their applications in the Artic. 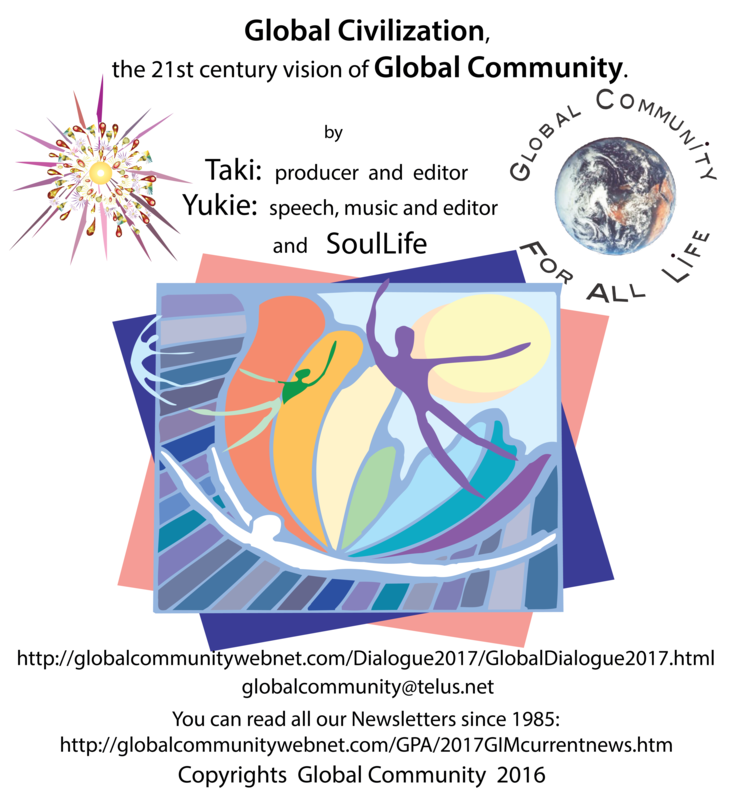 The theme of Global Dialogue 2016 is about Global Community establishing a global action plan for the survival of life on our planet. 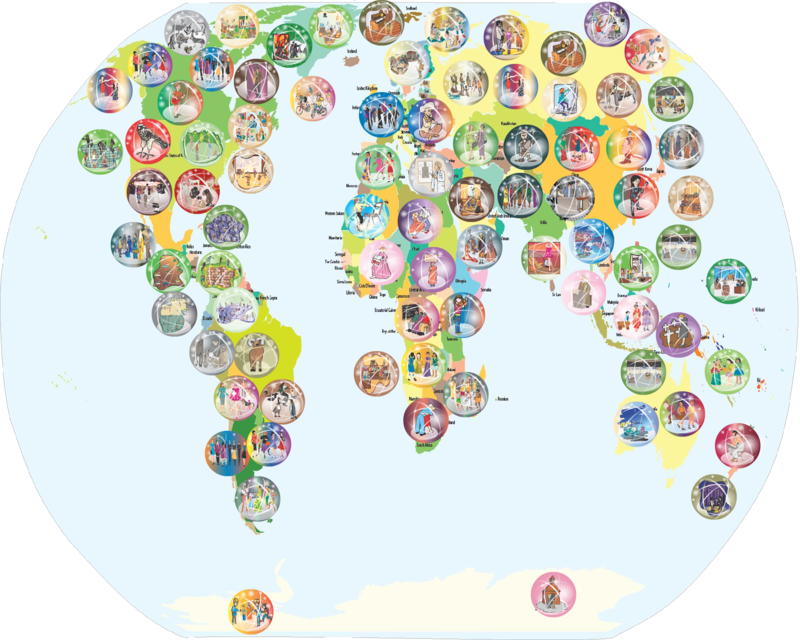 Global Community choices to save the world. 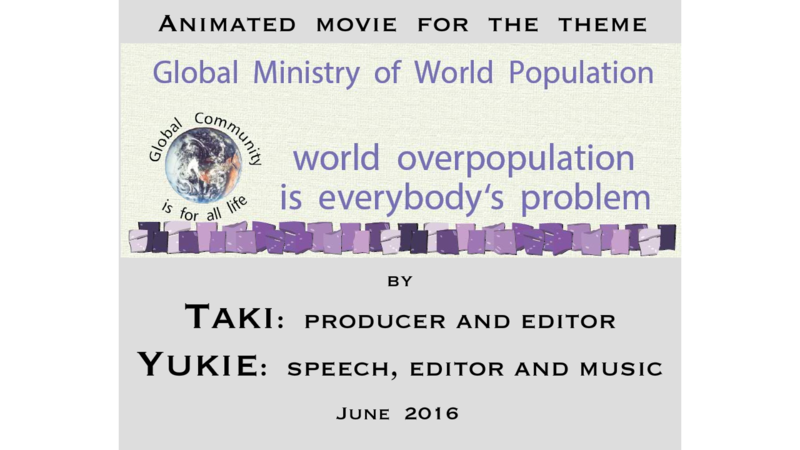 Global Ministry of Essential Services. Global Rights, leadership and the decision making process. 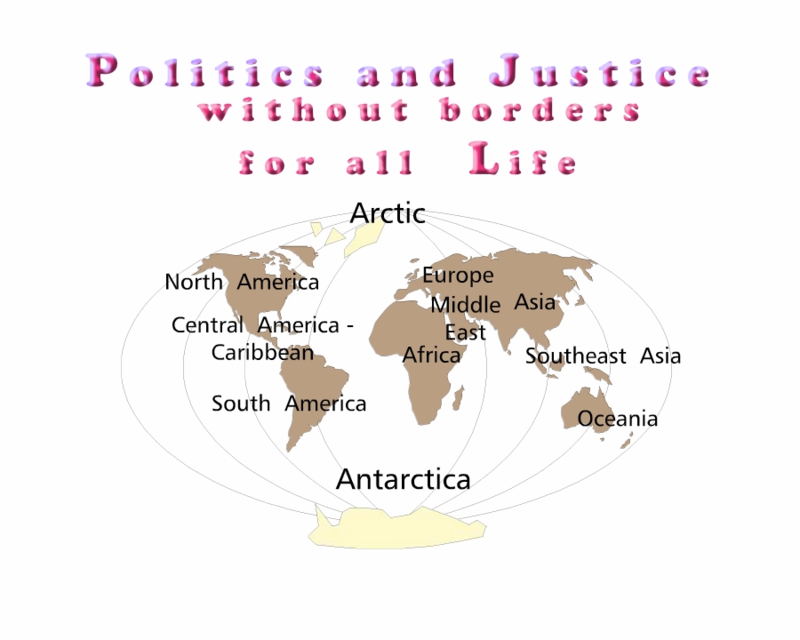 Politics and Justice without borders: what we stand for. 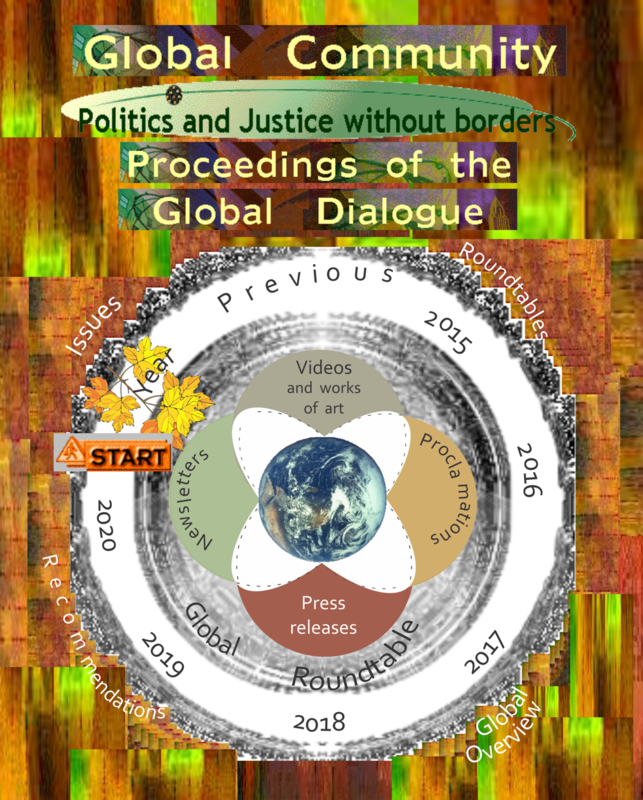 Politics and Justice without borders: Earth governance. Today, Global Community is Noah's Ark. The global crisis that triggered the planetary state of emergency. 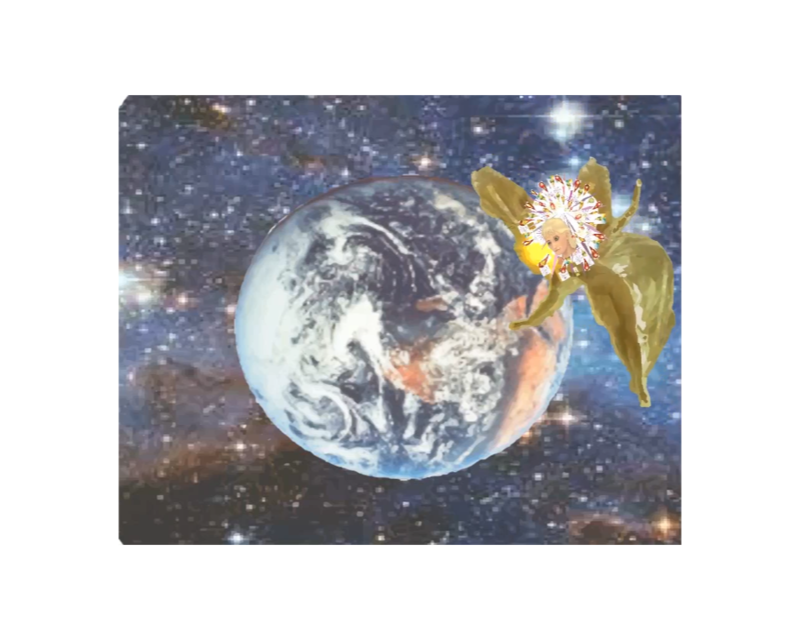 Planetary biodiversity zone ( Part III ). Global Justice for all life. 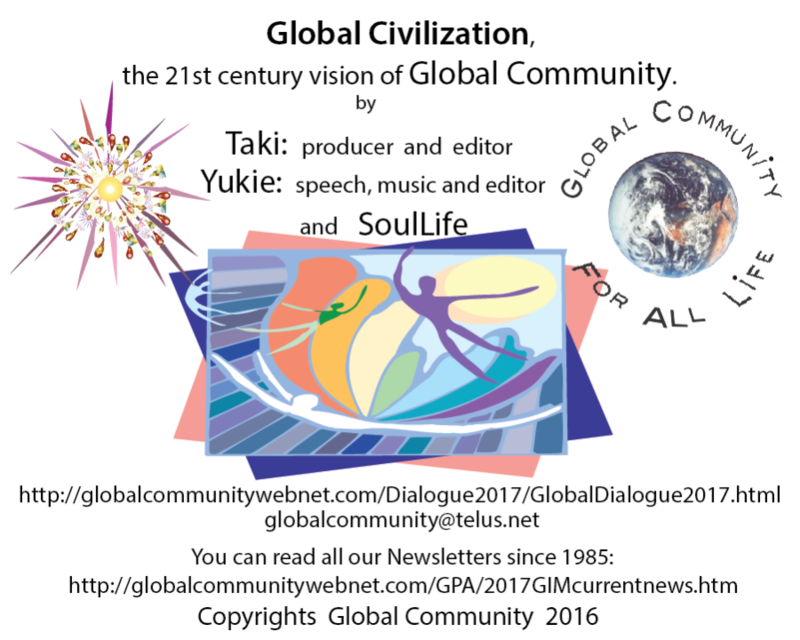 Peace in the world with Global Community. Ministry of Global Peace in government. Global Community perspective on the proposed Canada-EU trade deal. Dirty tar sands oil bi-products of Alberta, Canada, used for global pollution and mass destruction. Canadian tar sands oil a living insanity. Background research for this paper: historical facts, principles, standards, articles, new ways of doing things, issues, new world vision, etc. The Scale of Global Rights prioritizes the Commons to save all life on Earth. The global life-support systems are the Commons with the highest priorities. Sections 1, 2 and 3 on the Scale of Global Rights defines the Commons with the highest priorities. Building communities for all life on Earth. 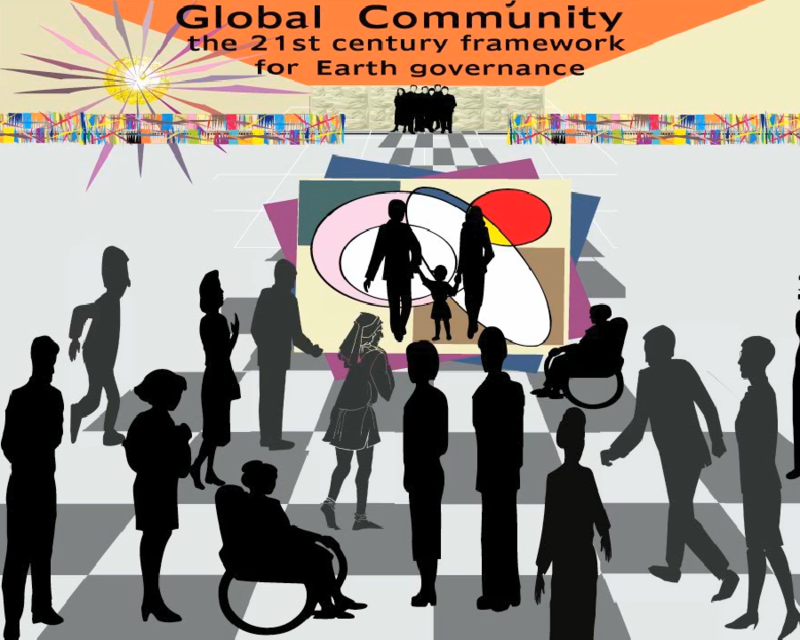 Criteria for land sovereignty within Global Community. Creation of a new nation through the process of the Earth Court of Justice. On the decision making process and leadership in the world. Leadership concerning the Syrian refugee crisis. On the ownership of the Artic region, and its protection. Natural resources of the Artic region. Canada sovereignty of the Northwest Passage. Russia sovereignty of the Artic region. Enironmental protection of the Artic region. North America security and strategic issues. Requirements of an international sea waterway. Management of the Northwest Passage. 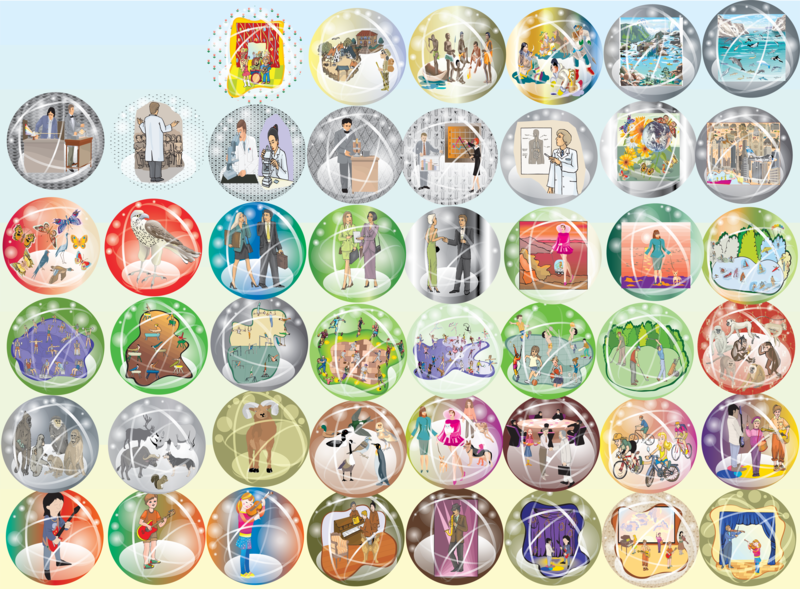 The Canadian Inuit Community and Nunavut. Website of Global Community of Nunavit. No one could own the Moon, planet Mars, or the Americas just by going there and back. To create a biodiversity zone in the North by way of Earth rights and taxation of natural resources. Agency of Global Police (AGP). Who owns the Earth? Movement for taxation of all Earth natural resources. Deep integration of Canada by the United States. Proceedings of Global Dialogue 2015. 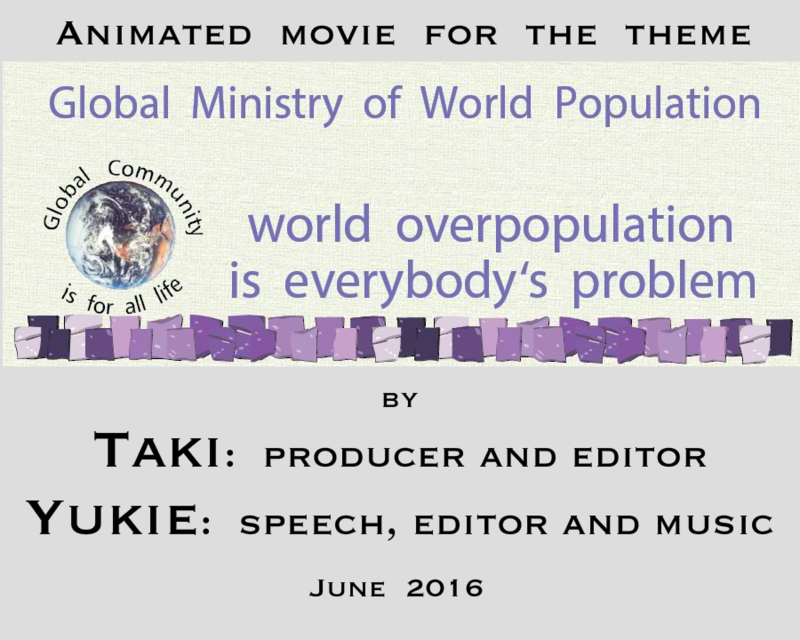 Copyright © 2015 Global Community WebNet Ltd.